X-Rays are one of the more important tools we use. Dental X-Rays (radiographs) are able to pinpoint damage to your teeth and gums that your doctor might not be able to see through a manual examination. Having new images of your teeth made over time enables your doctor to keep up with changes and identify new concerns that should be addressed. The types of X-rays used are intraoral and extraoral. 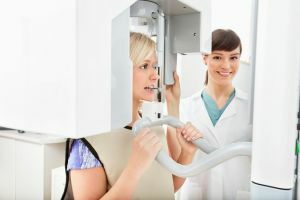 To assuage the fears that some patients have concerning radiation exposure due to the process, we adhere to the guidelines the State of Wisconsin offers regarding x-ray safety procedures for dental facilities.